Luanne Misquitta is a Neo4j-Certified Professional and Principal Consultant at GraphAware, a solution partner of Neo4j. 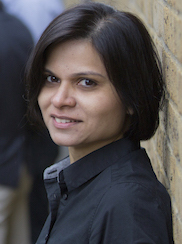 She discovered Neo4j in 2010 and has since been a proud Neo4j community member. Luanne is also a member of the GraphAware team that’s been building Spring Data Neo4j. The Spring Data Neo4j 4.0.0.RC2 Release Is Here!